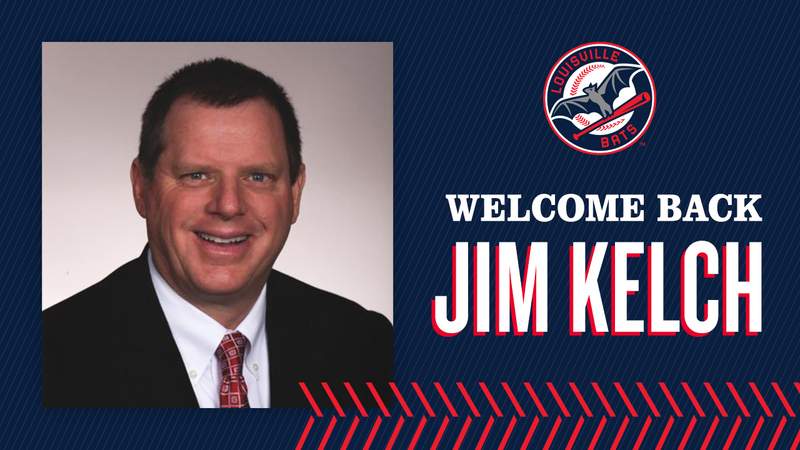 The Louisville Bats welcome back Jim Kelch to their broadcast booth for the upcoming season. Kelch served as the radio voice of the Louisville Redbirds, RiverBats and Bats for 21 seasons from 1989-2009. He will join Bats radio broadcaster Nick Curran for home games at Louisville Slugger Field, as well as select road games. "It feels like coming home to me, working again in Louisville with this great franchise." Kelch said. "I am very appreciative of Nick Curran, allowing me to share the booth with him and the entire organization for welcoming me back." Kelch currently serves as play-by-play voice of Northern Kentucky University men's basketball in the Horizon League. Kelch worked for the Cincinnati Reds broadcast team for 8 seasons from 2010-17, and previously called Minor League Baseball games for the Peoria Chiefs and Chattanooga Lookouts prior to joining the Louisville Redbirds in 1989. "Jim has meant a lot to this organization and, with the franchise celebrating its 20th season at Louisville Slugger Field, there is nothing more fitting than to have Jim back in his radio booth," Curran said. "I can't wait to work alongside a true legend within our organization." The Peoria, Illinois native also served as voice of Bellarmine University men's basketball and University of Louisville women's basketball, calling the 2009 NCAA Women's National Championship game between the Louisville Cardinals and University of Connecticut Huskies. Bats games can be heard on 790 KRD and also on the iHeartRadio app, as well as iHeartRadio.com. The Bats open the 2019 season with a seven-game road trip starting on April 4 against the Toledo Mud Hens, and open at Louisville Slugger Field on April 11 against the Gwinnett Stripers.